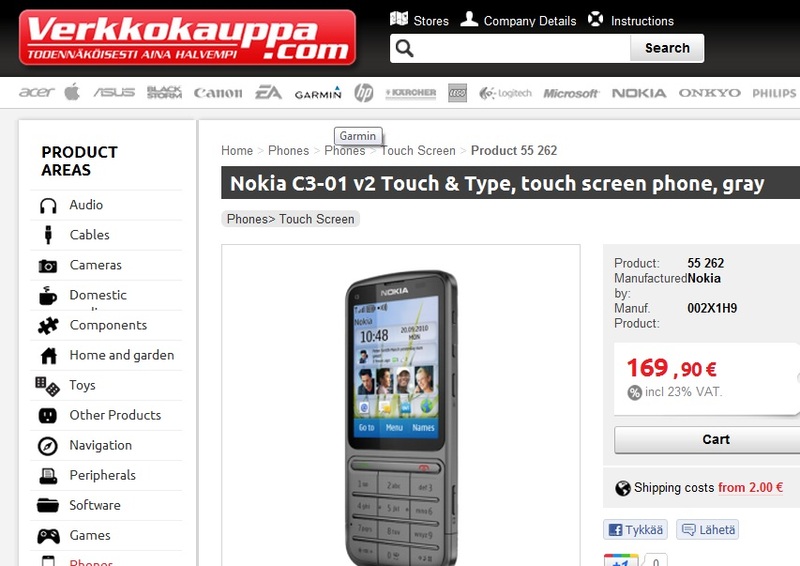 Apparently the updated Nokia C3-01 Touch and type (with 1GHz and 512MB RAM? Why?) is available on sale. The new X3-02 is also there up for grabs. The new C3-01 is 170 Euros, whilst the X3-02 is 160 Euros. That’s pretty much cheap smartphone territory. Tuomas notes that the C3-01 is actually the same price as the old model at this retailer, but the new X3-02 is 20 euros more.